Mr. Law became President and CEO of the Long Island Association, New York State’s largest business organization, in September 2010 where his efforts are focused on creating a better business climate on Long Island in order to create the new jobs our region so desperately needs and to help unify the region to help strengthen Long Island as a place to live, work and do business. Previously, Mr. Law was President and CEO of the Long Island Power Authority (LIPA), the 2nd largest public utility in the country with over 1.1 million customers. Prior to his approval as President and CEO, Mr. Law served as a LIPA Trustee and was appointed by Governor Eliot Spitzer as Chairman of its Board beginning in January 2007. Mr. Law demonstrated leadership in the areas of energy efficiency and renewable energy by launching Efficiency Long Island, the largest energy efficiency program for any public utility in the country, by procuring a 50MW solar energy project which will be the largest solar project in New York State and, by introducing “smart meters” on Long Island (the prelude to a smart grid). His efforts at LIPA helped lay the foundation for a clean energy economy on Long Island. As Chief Executive Officer, Law oversaw an $11 billion company with a $4 billion annual operating budget. He brought rates down to a 5 year low and secured LIPA’s first ever bond rating increase. Previously, Mr. Law served as Chief Deputy County Executive and General Counsel for Suffolk County, New York, which is the ninth largest county in the country with a population of 1.4 million people. In this capacity, Mr. Law had direct oversight of all county departments consisting of over 12,000 employees and a $2.7 billion budget. Prior to his tenure in Suffolk County, Mr. Law was the Managing Partner of the Long Island office of Nixon Peabody LLP, an international law firm with over eight hundred attorneys. Mr. Law focused his practice in matters relating to all facets of environmental and energy law (where he worked on many of the largest energy projects on Long Island), land-use, real estate, municipal litigation and representation of clients before federal, state and local agencies. Before joining Nixon Peabody, Mr. Law was the Director of Real Estate for the Suffolk County Department of Law, where he administered the Pine Barrens, Open Space and Farmland Preservation and Acquisition Programs. Earlier in his career, Mr. Law was the Assistant Suffolk County Executive for Planning, Housing and Environmental Affairs, where he coordinated the County Executive’s environmental initiatives and affordable housing programs. Prior to his initial tenure with Suffolk County, Mr. Law worked for the New York State Assembly as a legislative assistant to the Sub-Committee on the Long Island Economy. Mr. Law received an Associate of Arts from Suffolk County Community College; a Bachelor of Arts from SUNY, Stony Brook University; a Master of Science from the Graduate School of Urban Affairs and Planning at CUNY, Hunter College; and his Juris Doctor from St. John’s University School of Law and is admitted to the Bar of the State of New York. In 2011, Mr. Law was appointed by Governor Andrew M. Cuomo as Co-Chair of the Long Island Regional Economic Development Council, a board that is leading the region and competes for economic development dollars from the state. In 2009, Mr. Law was appointed by Governor David A. Paterson as Chairman of the Stony Brook University Council. He also sits on the Boards of the Advanced Energy Research Technology Center, Energeia, the LIA Health Alliance and the Association of Council Members and College Trustees. 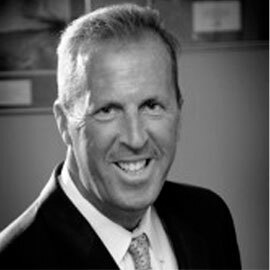 Mr. Law is also the Chairman of the Long Island Housing Partnership and Chairman of Accelerate Long Island, a consortium of Long Island’s research institutions collaborating on converting world class research into local commerce. Previously Mr. Law served as a Trustee to the Long Island Chapter of the Nature Conservancy and Suffolk County Community College. He was also formerly a member of the Board of Ethics for the Town of Smithtown.